Once you have a profile on your Board it is time to edit the information about you displayed to the other members. The phpBB Platform allows you to add large amount of personal information to your profile and you are the one who should decide what pieces of information should be available publically. 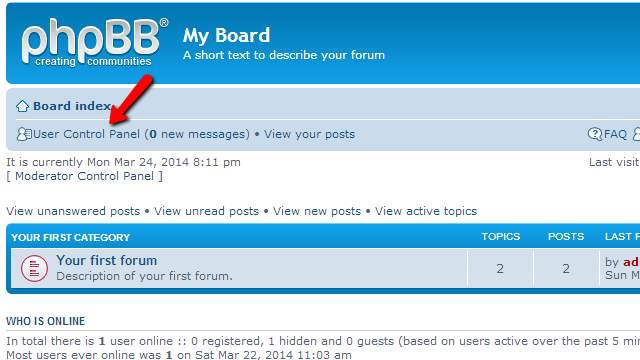 In this tutorial we will how you how to edit your profile information using the integrated tools in the phpBB platform. 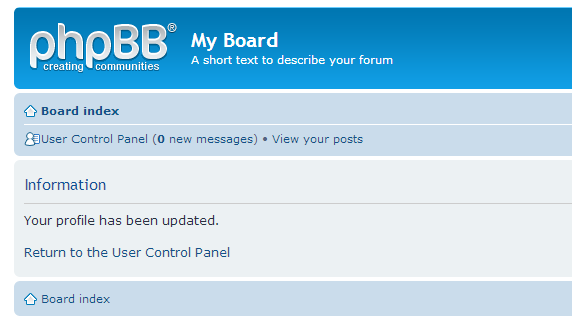 To begin you should login into your profile and once you are landed on the home page of your Board (where all of the forums are listed) you should navigate to the User Control Panel link displayed in the top left corner of the Board. The link in question will redirect you to the actual User Control Panel page where you should simply click on the Profile tab where the information for your profile can be edited. The available profile fields for edit will be then listed in the center of the page under the Edit Profile section. 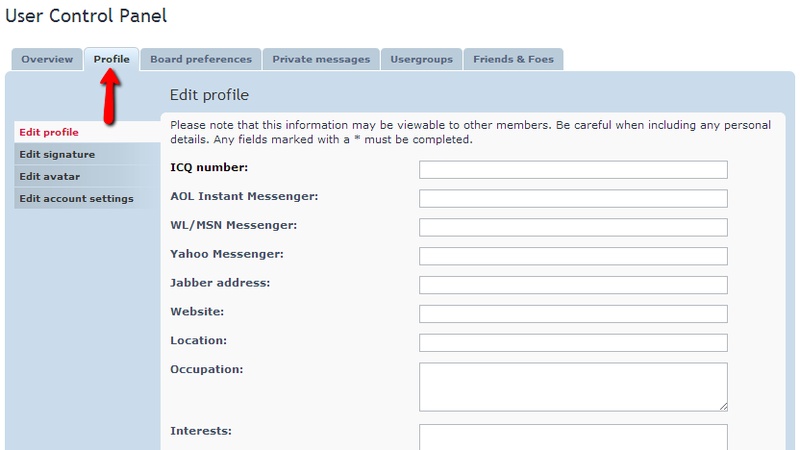 In the left part of the section you will notice that you can edit also your Signature, Avatar and also Account settings. You will need to submit the changed fields every time you change those so the settings can be actually saved. If all of the changes were successfully applied you will be presented with the respective message indicating those changes. That is all! Now you know how to edit your Board profile!